These are the two workhorses in the multiwerks fabrication area of the studio, the Multicam 3000 and the Trotec Speedy 400. 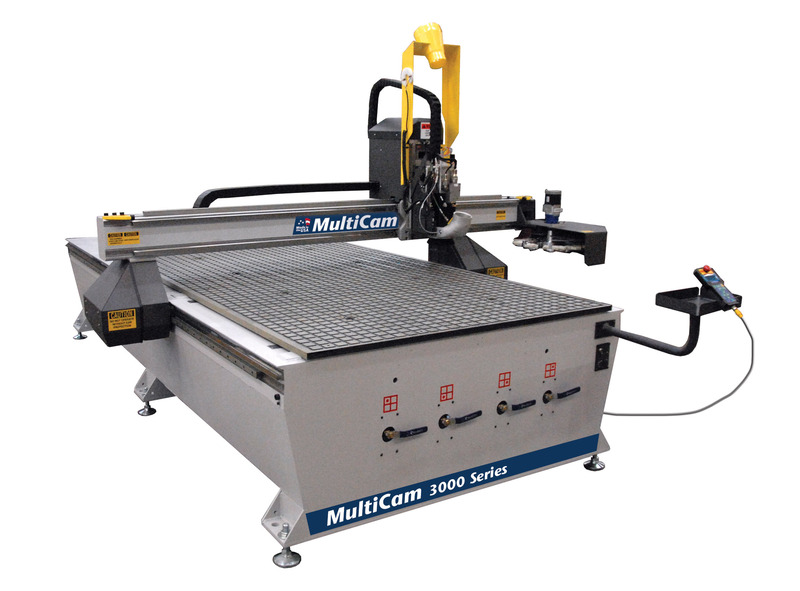 The Multicam 3000 handles a variety of materials such as hardwoods, softwoods, MDF, aluminum, brass, ACM, and a variety of foam boards, such as HDU and SM blue. It has a full 5 foot by 10 foot work area and can accommodate material thicknesses of up to 6 inches. For special applications we can increase the depth of cut to 10 inches. Depending on the material being machined and the size of the cutting tool, we can achieve cutting speeds as high as 250 inches per minute. This machine is equipped with a multi-zoned vacuum hold down system for sheet material. For smaller odd shaped pieces we use a custom manufactured slotted hold down surface. 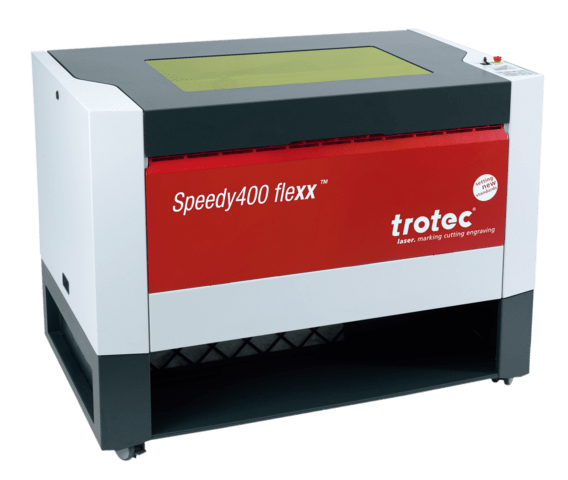 The Trotec Speedy 400 is a CO2 laser capable of etching, cutting and marking a variety of materials such as Acrylic Plastics, Glass, laminates, stainless steel (etching only), wood products, textiles and an assortment of other plastic materials. Have a look at our recent projects page for examples of work completed with this powerful and accurate machine.